FRANKLIN, TN — A urologist and an actor walk into a theater after a comedy for mature audiences to answer questions about prostate cancer. 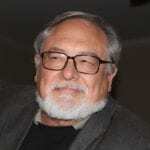 That lighthearted approach to a serious problem is prompted by the play, “A Man and His Prostate,” performed by Emmy Award-winning actor Ed Asner. On stage with Asner after the show, Dr. Joseph Smith of Vanderbilt University Medical Center said the play’s medically accurate, and he’s going to Africa where prostate cancer is common. Smith’s trip to Rwanda is coordinated by IVUmed (International Volunteers in Urology). Its motto: Teach One, Reach Many. “A Man and His Prostate” at Franklin Theatre was sold out Sept. 16. 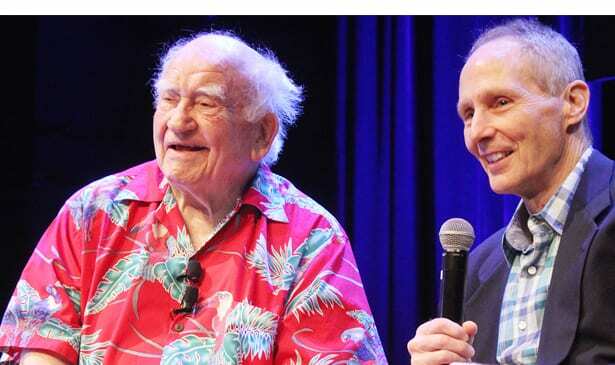 After more than 20 performances, it was the first time Asner discussed the play and prostate cancer with a urologist for an audience. In Weinberger’s stage play, a man falls ill in Italy where he has surgery down yonder, explained by Asner’s medical lecture with an anatomically correct image on a movie screen. The show includes photos of Asner reacting to surgery, and telephone monologues like Bob Newhart’s comedy. The play and Asner “created a great deal of humanity and compassion” for people dealing with prostate cancer, Smith said. Weinberger was a part of MTM Enterprises. It produced “The Mary Tyler Moore Show” for which Asner played Lou Grant. Most MTM shows were shot in Studio City, Calif. Asner’s daughter, Liza, is associate producer at his Quince Productions there. He and Weinberger “have a book coming out Oct. 11 called ‘The Grouchy Historian’ from Simon & Schuster,” she says. Asner’s portrayal of gruff characters masks an affable Hollywood star who lends fame to causes. “Vanderbilt is one of the highest volume hospitals in the country for urologic surgical procedures,” says Dr. David Penson, chairman of Vandy’s Urologic Surgery Department. Cancers in black men tend to be more aggressive, so there’re more fatalities, Smith said. Some clinicians say African American men with prostate cancer should not just be monitored.